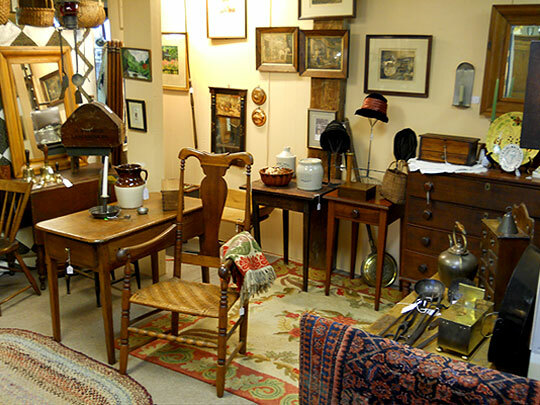 This dealer has a wonderful mix of primitive, shabby chic,and formal American and European antiques. She specializes in comfortable usable antiques that can be incorporated into a variety of decors. The art work she carries runs the range from 19th-21st Century one of a kind oils, watercolors, engravings, and prints. Pottery, glass, and china also range from 1860's French white ware porcelain to a 1970's melamine dinner set and everything in between. Furniture styles range from an 1820's Sheraton Mahogany Table to a 1940's hand painted bedroom set. Whatever she would and has placed in her home she gladly offers for yours. Booth #7c carries more formal American and European antiques. The artwork runs the range from 19th-21st Century one of a kind oils, watercolors, engravings, and prints like the artist stamped, signed, and numbered hand colored duck engravings in the photo. Furniture styles range from Chippendale, Queen Anne,Victorian, and Sheraton like the 1820's mahogany drop leaf table in the photo. Lovely china serving pieces, crystal decanters, oriental rugs and chandeliers complete the overall feeling of elegance.